A return to the Mag. 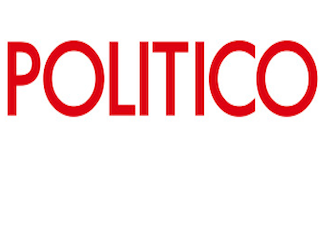 Politico has named Blake Hounshell editor in chief of Politico Magazine. Hounshell was most recently Politico’s editorial director. Hounsell previously served as deputy editor of Politico Magazine and managing editor of Foreign Policy. “We expect him to bring the relentless energy, creativity and elevated sensibility he’s brought to our news coverage and inject it into every aspect of the magazine’s coverage as its editor in chief,” wrote Politico editor Carrie Budoff Brown and editor in chief John Harris, in a memo. In related news, Steve Heuser has been named editorial director of ideas and featues, a new role at the company. He most recently served as interim editor of Politico Magazine and editor of The Agenda.